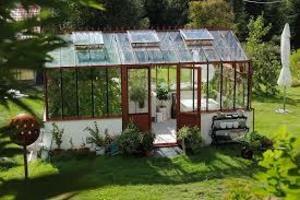 The greenhouse effect means the gradual warming of the air surrounding the earth, which is necessary to heat the earth. If the greenhouse effect doesn’t exist around the earth, it is said that the temperature of the earth drops to minus 18 degree. However, the greenhouse effect recently works too much due to the increase of carbon dioxide, which becomes a serious problem to cause global warming. Therefore, we should consider how to decrease the amount of carbon dioxide. I think there are several solutions to solve this problem. Firstly, each country should cooperate. Many countries recently discussed this problem and defined the regulations concerning the emission of carbon dioxide. However, some developing countries disapprove of these regulations because they prevent those countries from growing. Those countries say only advanced countries should control the emission of carbon dioxide. It is difficult to solve this dispute. I think it is important for each country to discuss this problem and accept the regulations. Secondly, each of us should contribute. There are many actions that we can do to contribute. For example, walking or cycling instead of driving a car leads to decrease the emission of carbon dioxide. Saving water is also important. We should stop wasting water when we don’t use. This was a well written essay and you discussed some important issues when regarding the ‘Greenhouse effect’. I completely agree that each country should follow regulations for reducing carbon emissions. The idea that developed countries had their industrial revolution, so why can’t developing countries? isn’t the point. We only have one planet and each country on Earth needs to do their best to protect and save our bio diversity. Each person can do certain things to protect the environment like you mentioned. I hope the World co-operates on this issue because its far more important than fighting wars.